Leading up to the main event, Catawba will release another seasonal favorite, King Coconut Porter (5.5% ABV), on Thursday, March 2. Western North Carolina’s original coconut beer returns for its 13th year, packed with flavor notes of rich chocolate and sweet toasted coconut. 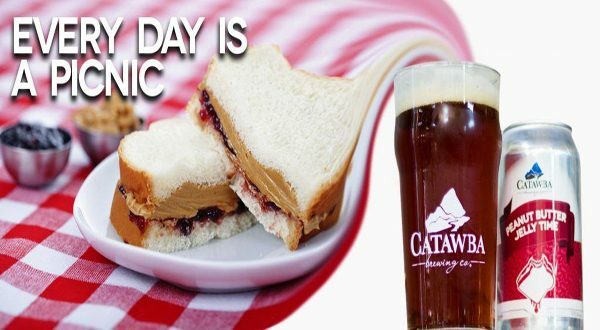 This liquid dessert will be available on draft and in 6-pack cans, wherever Catawba beers are sold. Finally, Catawba will release a Small Batch Apple Sour (6 percent ABV) on Thursday, March 2, at all Catawba locations. This refreshingly tart blonde ale was soured in the kettle with lactobacillus. Apple was added in secondary fermentation, lending a clean cider-like finish. Brewed in their Asheville South Slope brewery, this is Passport Beer #9 in Catawba’s 2017 Small Batch rewards program, available in their three tasting rooms and in limited distribution.